Secure backup solutions allow storing data copies in secured vaults, using different security tools and protocols according to accepted standards. Handy Backup is a featured secure backup solution, which has different secure backup service routines on almost every step of backup and restore. Why Is It Important to Backup Data Securely? Eliminating losses and problems caused by hacking, theft or malware actions. Forced dividing spheres of data access between different employees. Secure offsite backup for stable and reliable data keeping. 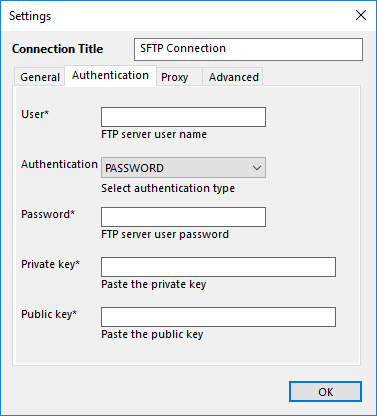 Every plug-in of Handy Backup allowing accessing crucial data such as FTP, database or cloud content, requires configuring authentication to connect with a data source. Therefore, protected data accessing is the very beginning of secure backup, allowing no unauthorized copying. The most famous instrument to take secure backups is the built-in BlowFish encryption tool, allowing encrypting files “on the fly” when copying. In addition, you can call for external security and backup procedures (e.g. third-party encryption software) by running these tools before or after a backup task. Secure backup and share data by network protocols allow protecting the information during traffic operations. For Handy Backup, methods of network protection include such things as SFTP and FTPS secure file backup (with SSL supported) and using internal API protocols for secure cloud backup. You can secure back up data physically (for example, by placing an external USB drive containing backups in a safebox), or use online secure backup vault (for example, cloud backup to a trusted provider such as Amazon S3). 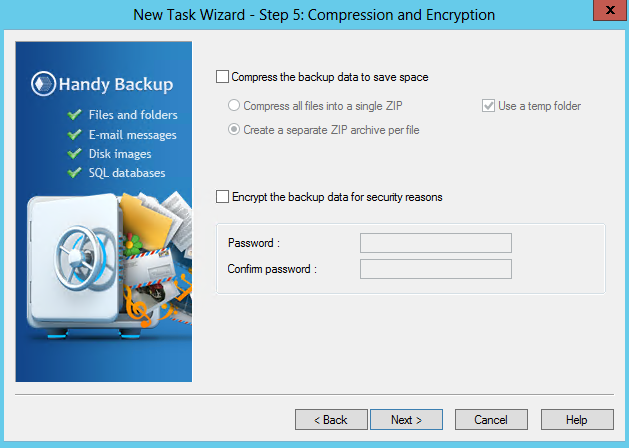 Handy Backup provides its own remote secure backup service – HBDrive. If you are searching for secure backup solutions, try Handy Backup just now! Download a fully functional, freshest version with all plug-ins and tools, free for a 30-day trial period!